Zombie Physics is another point and click physics based game on coolbuddy. 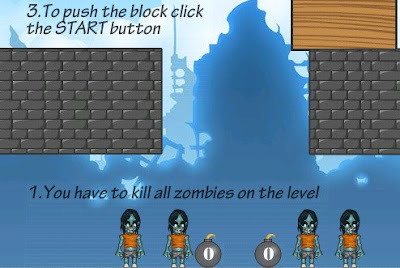 In this game you have to use bombs or push heavy blocks to knock down zombie targets. You can set the timer for every move that you make. Throw all the ugly undead back to their grave and restore peace among the lives of the residents.